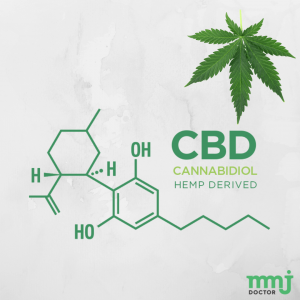 Cannabidiol, more commonly known as CBD, has been in the press a lot lately as supporters continue to show how this chemical substance can treat a number of health conditions and be a viable alternative to opioids or other pharmaceutical medications. Want to know more about CBD and if it could be right for you? Here’s everything you need to know. CBD is the non-psychoactive component of cannabis. Unlike its psychoactive counterpart THC, CBD does not cause a user to become ‘high’ or to experience any hallucinogenic effects. In fact, CBD can actually counteract the effects of THC, causing many medical marijuana users to choose strains that are high in the non-psychoactive compound. CBD has enormous therapeutic potential. 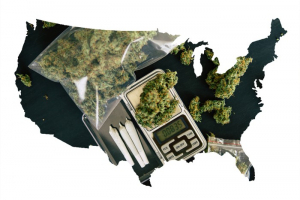 Not only has it been proven to treat a wide variety of health conditions, but it’s also available in many states that have so far not approved the medical or recreational use of marijuana. CBD can be derived from marijuana plants or it can be derived from hemp sources. The potency of the CBD and where it can be legally purchased and used are both determined by where it is sourced. CBD is beneficial in a number of different ways. Studies show that it not only works on lessening symptoms ranging from anxiety to seizures, but that it also taps into how we function on a biological and physiological level. It also has powerful anti-inflammatory, antioxidant, antipsychotic, anti-tumoral, and neuroprotective qualities. What Forms is CBD Available In? CBD can come in a number of different forms ranging from pills to gummies to vapes and oils. Depending on your preference, you can get it as a lozenge, a tincture, a gel cap, or even as a powder that you can add to food or beverages. Concentrated cannabis oil can also be heated and inhaled with a vape pen, which some believe is beneficial in treating acute symptoms as effects can be felt nearly instantaneously and last for up to two hours. 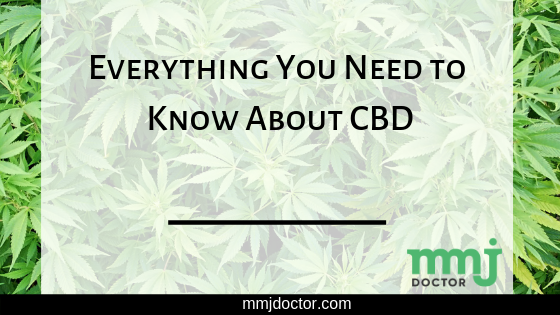 While other forms of CBD may take a bit longer to take effect, they normally last longer. The subject of CBD legality is a tricky one. It all depends on the source of the CBD, where you live, and what laws are currently being enforced. If you live in one of the states where medical marijuana is legal and if you have a medical marijuana identification card, you can legally purchase any type of CBD offered at your local dispensary. If you live in a state where recreational marijuana is legal, you can purchase any form of CBD from any dispensary whether it is in a form that includes THC or not. 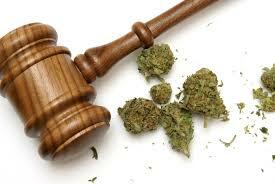 If you do not live in a state where medical or recreational marijuana is legal, the laws get a little more confusing. There have been a number of laws passed in recent years regarding CBD products. In some states, CBD-only products have been legalized if you can prove you have one of the conditions that CBD can treat. In some cases, they may limit the amount of CBD you can purchase or possess or limit the availability of CBD to only those with certain types of diseases or disorders. In six states in the U.S.—West Virginia, Indiana, Kansas, Nebraska, Idaho, and South Dakato—CBD that is derived from any part of the cannabis plant is illegal. CBD that is derived from hemp, however, is generally available throughout the United States and can be legally purchased. What Conditions Can CBD Treat? CBD’s potential as a treatment for a number of conditions is being constantly evaluated and studied by the scientific and clinical communities. Studies have shown that it is effective in treating a broad range of conditions including diabetes, multiple sclerosis, depression, epilepsy, and arthritis. It’s also been shown to have potent anti-inflammatory effects and is effective in treating chronic pain and anxiety. operties that are now being studied by academic research centers throughout the world. When CBD is combined with THC, as is the case in many medical marijuana products, the effects become even greater. CBD-rich medical marijuana has been proven effective in treating Crohn’s Disease, post-traumatic stress disorder, and schizophrenia. It has also helped those dealing with side effects of chemotherapy and the anti-viral drugs used to treat AIDS. CBD products, depending on their chemical makeup and their source, are available from many difference distributors and can be found online, in dispensaries, in vape shops, and in health food and supplement stores. They can even be found in the health section of many mainstream grocery stores. Legally purchasing and using CBD products depends on where you live. If you live in a state where recreational and medical marijuana is legal, you will be able to purchase any type of CBD product off the internet or at any dispensary. If you live in a state where only medical marijuana is legal, you will be able to purchase CBD products derived from marijuana plants if you have a medical marijuana ID card and should be able to purchase hemp-derived CBD regardless of whether you have an ID card or not. If you live in a state where neither medical or recreational marijuana is legal, you will likely only be able to buy hemp-derived CBD oil. If you deal with any conditions that cause chronic pain, anxiety, seizures, or other symptoms that reduce your quality of life, you may find relief by using CBD in one of its many forms. Depending on where you live, you may be able to buy CBD in several different forms and be able to try out different concentrations and delivery methods to find out which one works best for your unique needs. CBD: How is It Different from Marijuana?